WOW! Welcome to 2304 Eagles Nest! 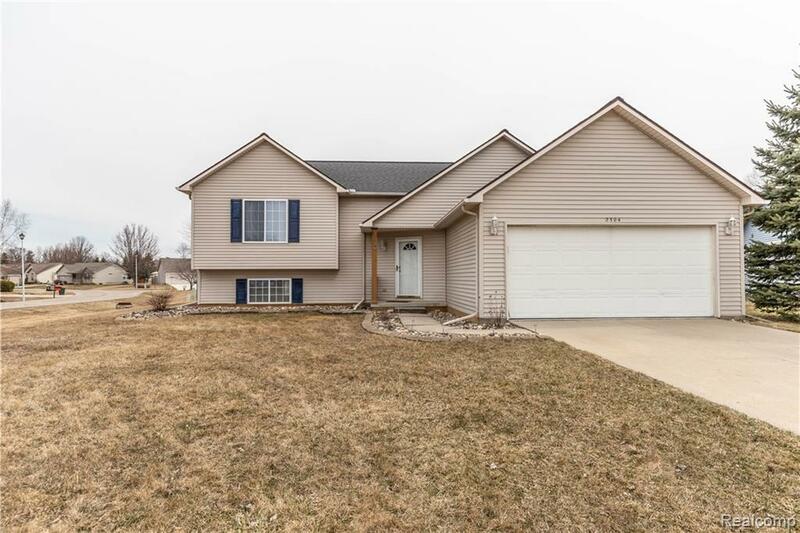 This meticulously maintained 3 bed, 2 full bath home boasts over 2000 FINISHED SQUARE FEET! Pride of ownership is apparent the second you step through the front door. Main level features an OPEN CONCEPT floor plan w/ cathedral ceilings, eat-in kitchen w/ ample storage space, laminate countertops, and breakfast bar! Spacious living room w/ walkout access to the back deck and fenced in back yard! 2 sizable bedrooms, including the master suite, w/ full bath! Venture downstairs where you will find the MASSIVE REC ROOM, the 3rd bedroom and 2nd full bath! This gem sits on a CORNER LOT, IN A CUL-DE-SAC! Quiet neighborhood, Davison Schools! Fresh paint throughout in 2018! Move-in ready! Wont last long. IDX provided courtesy of Realcomp II Ltd., via Keller Williams Lansing East and Realcomp, ©2019 Realcomp II Ltd. Shareholders.